Get affordable Security Camera Installation on Cypress, CA and CCTV equipment with commercial quality and 2 years warranty. Before commence your CCTV project you’ll need to do some research on CCTV companies, reviews, type of security camera equipment, etc. You’ll need to find the right company to do the job under your budget. We offer high quality system (commercial quality) and a professional installation at a low price. 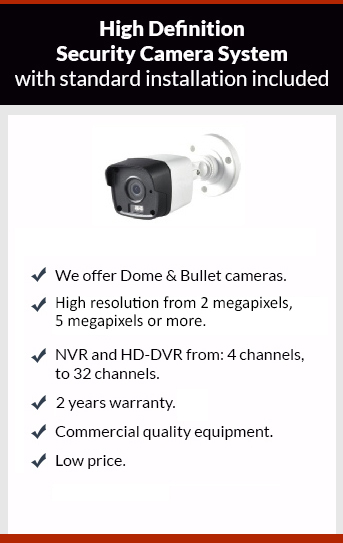 We have the right camera for you for the spot that you want to cover on your property. Day or night our cameras will give you a perfect picture. We will provide you of a detailed proposal with the best price. We have 5 star reviews on Google and Yelp; we have been working really hard to give our customers an amazing experience.